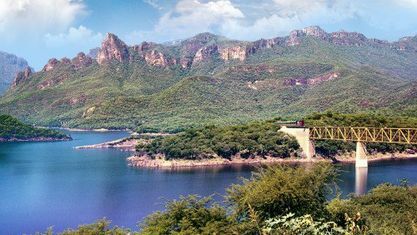 Copper Canyon is a group of six distinct canyons in the Sierra Madre Occidental in the southwestern part of the state of Chihuahua in northwestern Mexico. The canyons were formed by six rivers that drain the western side of the Sierra Tarahumara (a part of the Sierra Madre Occidental). 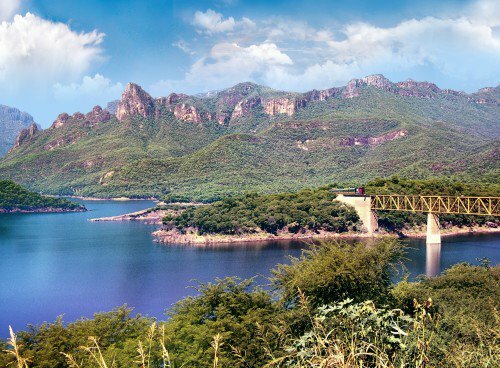 All six rivers merge into the Rio Fuerte and empty into the Gulf of California. The walls of the canyon are a copper/green color, which is where the name originates.